1436 R Street Northwest has a Walk Score of 97 out of 100. This location is a Walker’s Paradise so daily errands do not require a car. 1436 R Street Northwest is a 12 minute walk from the Green Metrorail Green Line and the Yellow Metrorail Yellow Line at the U STREET METRO STATION stop. 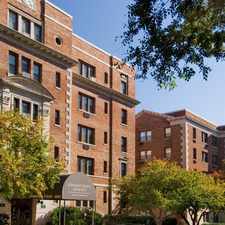 This location is in the Logan Circle - Shaw neighborhood in Washington D.C.. Nearby parks include Stead Recreation Center, Stead Playground and Stead. Explore how far you can travel by car, bus, bike and foot from 1436 R Street Northwest. 1436 R Street Northwest is a Rider’s Paradise which means world-class public transportation. Car sharing is available from Zipcar, Hertz On Demand and RelayRides. 1436 R Street Northwest compared to all of Washington D.C..
How do you feel walking near 1436 R Street Northwest? 1436 R Street Northwest is in the Logan Circle - Shaw neighborhood. 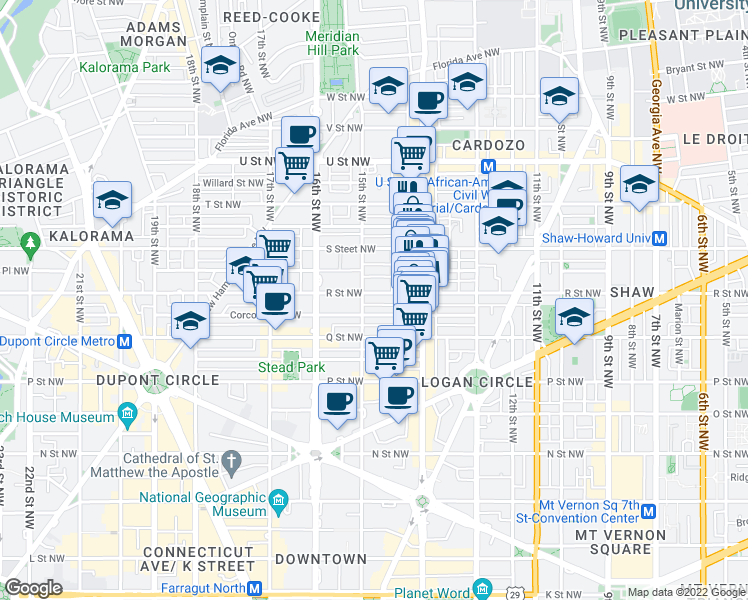 Logan Circle - Shaw is the 5th most walkable neighborhood in Washington D.C. with a neighborhood Walk Score of 96.